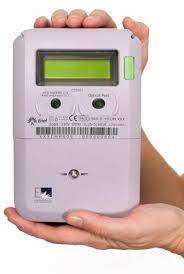 The change of electric meters for its intelligent version is still underway in Spain. Since the hourly electricity tariff came into force in October 2015, the importance of this device continues to grow. Now, as consumers, what advantages does this device have? Do you save on the electric bill? How? The main reason why the smart light meter should already be at home is that it is more accurate. This modality arrived at the market as a response to the hourly electricity tariff, with what among its virtues is being able to know how much is consumed at each moment. In addition, the fact that the data is being sent to the electric company makes it possible to achieve the first great achievement: the company will have real data on the electricity used. While this may sound like the electricity Big Brother, it actually means that the bills that will be received will be real, eliminating those estimated upwards that unbalanced the family economy every two months. Since the receipts are closed a few days before reaching the end of the month and the consumption figures are passed by the distributor with days in advance, the last days are estimated. To ensure that this does not increase the bill disproportionately, some companies notify their customers by email of how much will be the receipt for the end of the month, if it continues with the same consumption behaviour. So if it is detected that the figures do not match, it will be enough to send the current reading to the company at that moment. From here, the company will adjust the invoice based on the actual expense. Since the intelligent electric meter records the consumption of electricity constantly, this device can give a lot of information on how to save at the end of the month. For this, it is enough to register in the customer area of the electric company to have access to the data collected by the company. In this way, if you see that the highest consumption is made at night and you have a fixed rate, you can request the change to a rate with time discrimination. Only with this gesture, the bill at the end of the month will be cut considerably, since these rates have the virtue of offering the kilowatt-hour (kWh) night at half price. Similarly, if it is observed that the highest peaks of consumption are made in the morning, two scenarios will be posed: change habits, if possible, to find the cheapest hours or look for a company that provides a flexible rate. Although I tell you now that there is little offer in this regard, as usual the big companies always have some ace up their sleeve for these cases. 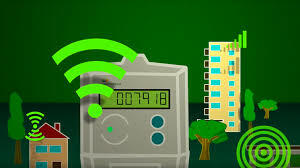 A final aspect is that the new smart meter allows many procedures to be carried out via internet. So if you want to increase the contracted power with the company, or reduce it, just call the company to do it directly, without having to wait for an engineer to come and manipulate the device. Nor will it be necessary to write each month the consumption on the sheet left by the distributor in the entrance hall of your apartment. Although this may be banal for many, it is a nuisance when it comes to second homes that are rarely visited or if you are on vacation, not to mention the privacy of your consumption, there is no need for your neighbours to know if you have used more or less electricity this month. In addition, the simple fact that real-time information is being sent to the company will make it possible to detect any problem more quickly; that is, if there is a technical failure, the solution will arrive sooner. In short, although the rental price of the smart meter is a little higher than that of the old one, as consumers it gives much more value. In addition, requesting the change and carrying it out has no cost.